Enter the world of Chelsea Football Club with Chelsea Runner, brand new for the 2015/16 season! 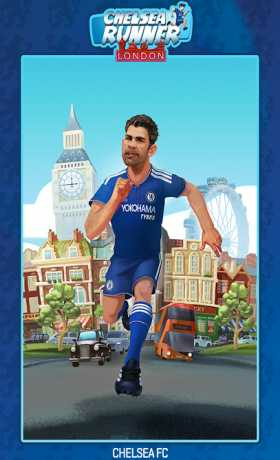 Download Chelsea Runner and become a part of the world-famous Chelsea Football Club! 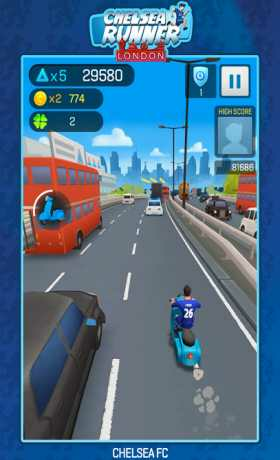 Avoid a variety of obstacles and help the Chelsea FC players reach the stadium on time before the match starts! 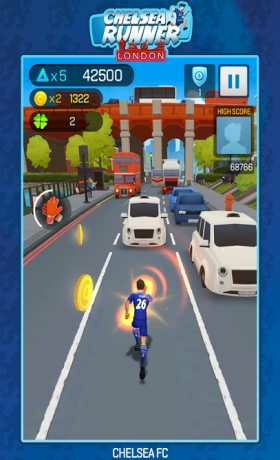 Play with your favourite Chelsea FC players or as the special one, Jose Mourinho. Run, jump and slide to avoid cars, buses and obstacles. Collect coins and complete missions all by controlling your character with touch screen gestures. Reveal game boosts, extra lives and multiply your score by finding the mystery boxes. Unlock more super star players by continuously playing the game. Enjoy some of the most famous sights London has to offer, including the London Eye, Tower Bridge, Big Ben and the Gherkin.